Malala Yousafzai's struggle for girls to be educated in deeply conservative parts of Pakistan led to her being shot and nearly killed by the Taliban two years ago, while her relentless campaign for women's rights was rewarded Friday when she was jointly awarded the Nobel Peace Prize. Malala, who moved to Britain for treatment and later settled there, tirelessly continued her campaign for a woman's right to an education in Pakistan and won international recognition for her struggle. 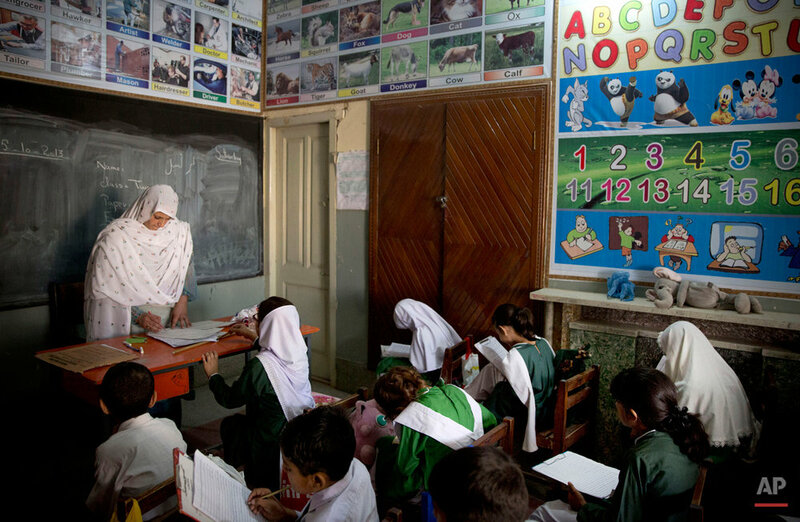 In Pakistan her campaign lives on, as young girls and women struggle to get an education. 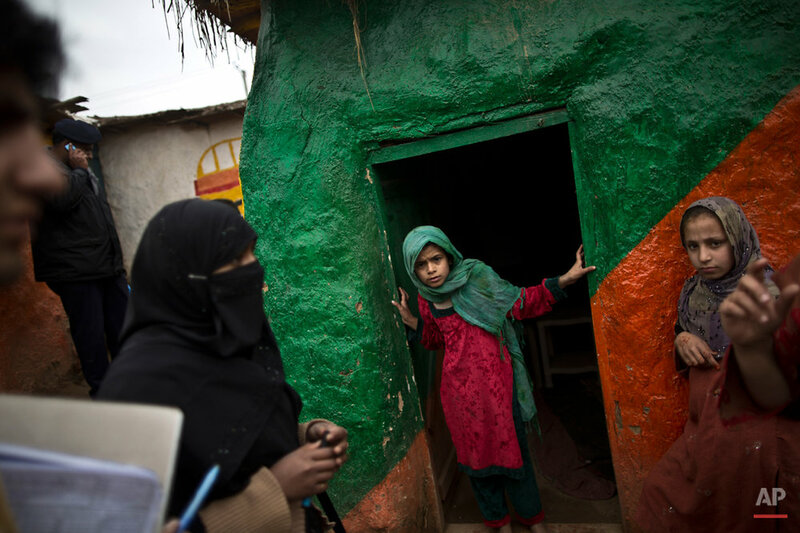 Here are a series of images by Muhammed Muheisen and the late Anja Niedringhaus focusing on the education of young girls in Malala's hometown of Mingora, in the Swat Valley, and in the outskirts of the capital Islamabad. Taken in makeshift schools set up in slums and mosques, many show adult volunteers teaching children with the limited resources they have. In Mingora they show girls attending Malala's old school. 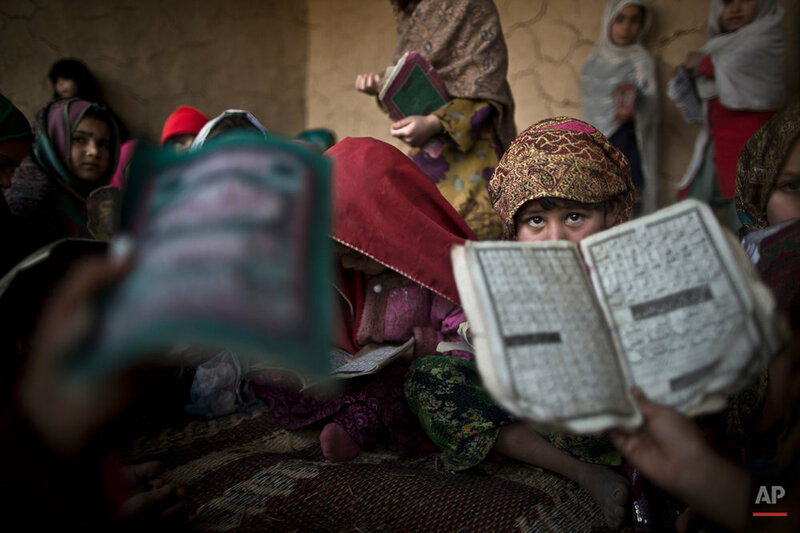 Opening text from the AP Story, AP Photos: Pakistani girls struggle to be educated.